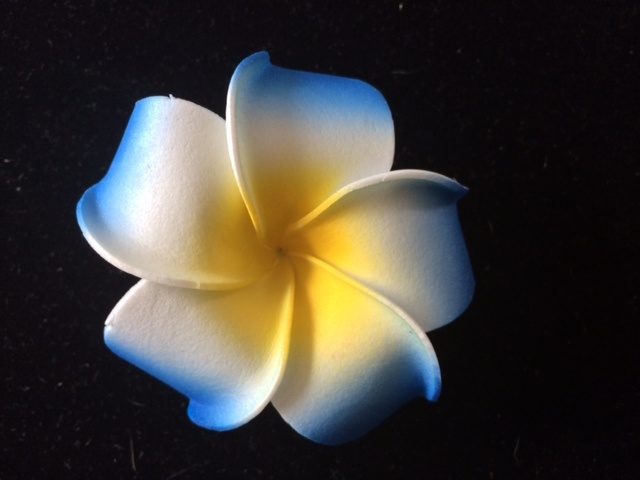 Color: White w/ Blue Tips & Yellow Center This item is currently out of stock! The flower is approximately 2.5"inches diameter. Each Flower is delicately Handmade. Sits on a 1.75 Inch Alligator Style Clip. **You are purchasing 12 pcs of the SAME color.